Summer is undoubtedly the best season to explore hill stations. This is even truer for the folks of hot subcontinent of India. And as it comes to visit hill stations, North East India leads with its natural treasure trove of snowy mountains and its splendor. Hundreds of thousands of people simply flee toward the hill stations in North East India to enjoy the snowfall during summer. The hill stations of North East India are highly recommended honeymoon destinations as well. Their serenity and magnificent beauty help couples creating moments of togetherness that they will cherish throughout their lives. Tawang – As it comes to honeymoon destination, the first name comes to mind is Tawang, Arunachal Pradesh. Take a flight to Guwahati and then a splendid road trip through the curvy mountain roads to reach the heavenly place. The major places to visit in Tawang may include Tawang Monastery, Jang falls, Jaswant Garh and Tawang War Memorial. The best time to visit the Tawang are the months from April through August. Average cost of honeymoon trip for a couple to Tawang is somewhere between INR 35 thousand and 45 thousand. Shillong– The capital of Meghalaya is ready to greet your intimacy and offer you the best nature that helps you knowing each other better. The best time to visit Shillong is between May and September. It would take around INR 35 thousand to 45 thousand for a standard honeymoon package in Shillong. Take a flight to Shillong airport. The town is well connected through railways and roadways as well. 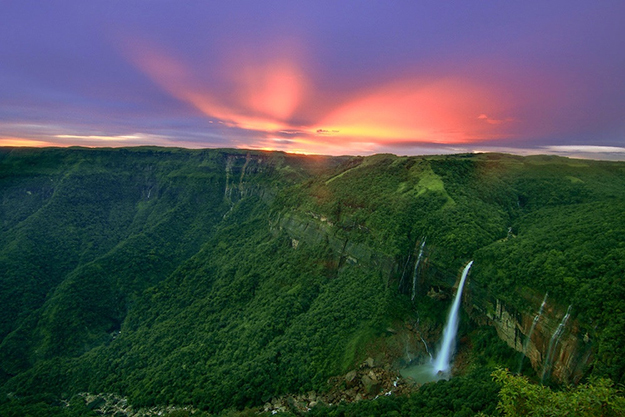 Usually a standard North East India tour package includes Shillong as a part of their package. But it can be explored solely as a honeymoon destination. Bishop & Beadon Falls, Don Bosco Museum, Butterfly Museum and Lady Hydari Park are some notable places to visit in Shillong. Gangtok– This place is less expensive than the two mentioned above. A normal honeymoon package to Gangtok would take around INR 20 thousand to 25 thousand. The best time to visit the hill station is between May and September. Take your flight to Bagdogra Airport and then enjoy a road trip to Gangtok. Karseong – If you have both budget and time constraint, Kurseong would be a perfect honeymoon destination. Located in the state of Darjeeling, Kurseong can be best visited between the months of April and August. A honeymoon package to Kurseong for a couple would cost somewhere between IRR 15 thousand to 25 thousand. Eagle’s Crag, Balason River, Makaibari Tea Estate, Museum of Netaji and last but not the least, Dow Hill are some significant places to visit in Kurseong. Aizawl – Though less popular, the capital of Mizoram can prove itself to be one of the most sought after honeymoon destinations. Anytime between April and August would be good to reach the place. Take a flight to Lengpui Airport to reach Aizawl. It won’t cost you more than INR 35 thousand for a usual honeymoon trip to Aizawl. So,we conclude our list of the most attractive honeymoon destination in North East Indian. Any North East Holiday Packages entail at least one of the above-mentioned hill stations. However, if you want to enjoy the true essence of your honeymoon, you may avoid wandering here and there. Since it is your honeymoon, better you stick to a fixed destination and spend time together. Nevertheless, you can always opt for a quick sightseeing program.